Does the rise of self-service machines spell the end of retail as we know it? Self-service offers numerous advantages to a retail manager, the first amongst these being running cost. The purchase cost, software licence fees and maintenance costs are nothing compared to the savings gained by reducing your employee head count or else directing employees to different areas of the store where they can enhance the customer experience in other ways. One good example of greater business efficiency is in the area of training. Large retailers devote a huge number of man hours to training, which could be significantly reduced by greater adoption of self-service technologies. As a retail manager self-service makes it much easier to deliver a consistent level of service to your customers. Retail kiosks don’t need motivational incentives, they don’t have good days and bad days and there’s no risk of them arguing with a particularly difficult customer! From the consumer’s perspective, the shopping experience is enhanced by the speed (reduced queue time) and convenience self-checkout promises. This method will also allow retailers to offer out-of-hour services without the large overhead of paying staff double time. 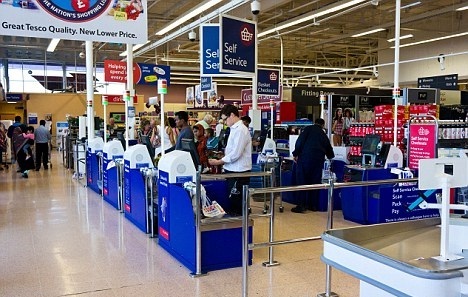 So are we heading towards a point where manned checkouts are a thing of the past? Will kiosk software development teams outnumber sales assistants? Would that be a good thing if it happened? I for one would be happy to shop in a place where the shop floor service was enhanced at the expense of being able to pay a human for my goods. High-end department stores where customers are well attended and catered for while they browse offer a much pleasanter experience than store where their resources are chained to the checkouts, leave the products to fall off the shelves and the customers wander round for hours trying to locate their purchases. Looking at things from the point of view of the retail employee, things perhaps look less positive. Whatever way you spin it, losing your job to a machine is pretty bad, right? But surely it’s much more fulfilling being on hand to offer first class customer service rather than sitting still taking bank notes.